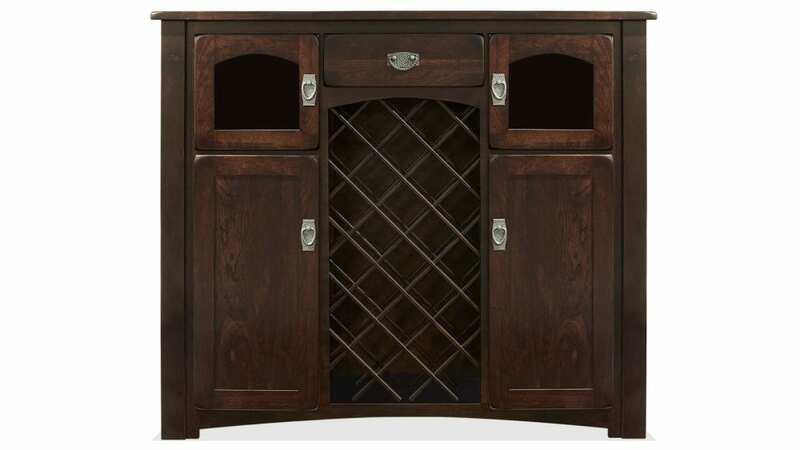 Made in America, this solid wood wine cabinet, able to hold up to 21 bottles, will help you celebrate life and friends, while adding a simple elegance to your home. 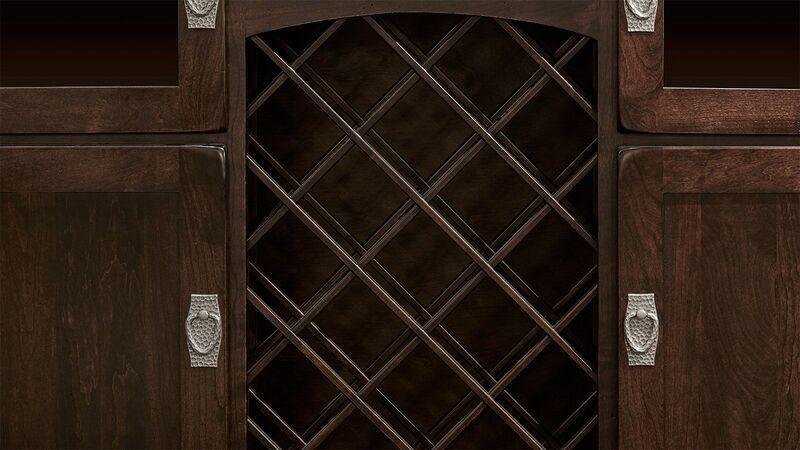 Gallery Furniture can help you celebrate life TODAY! 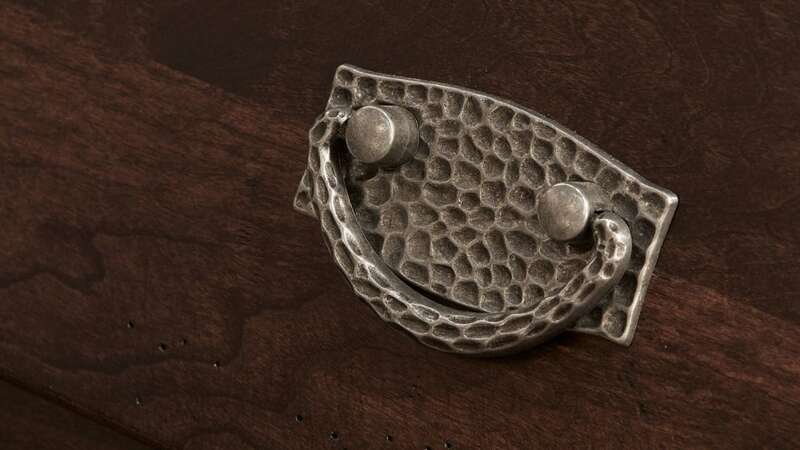 Designed and handmade by American artisans in the heartland of our great country. 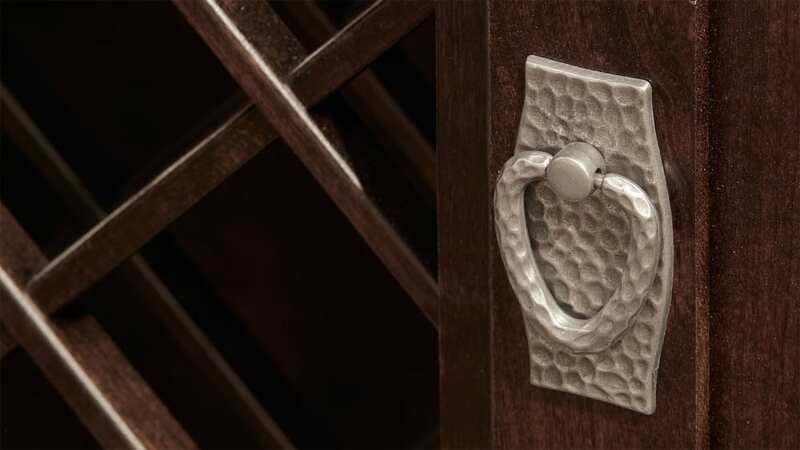 Crafted from solid cherry hardwood, harvested in North America. 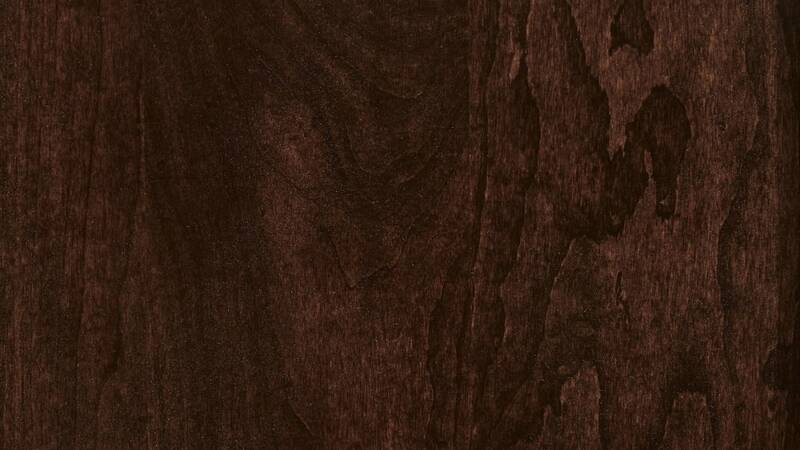 Rustic, hand-planed wood is beautiful and unique. A sturdy, solid wood center rack provides ample storage for your wine. 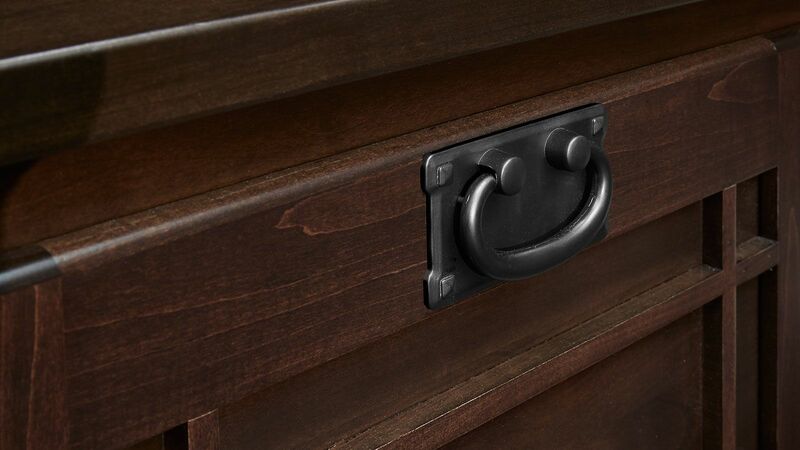 Keep your corkscrews and accessories easily available in the solid maple interior top drawer. 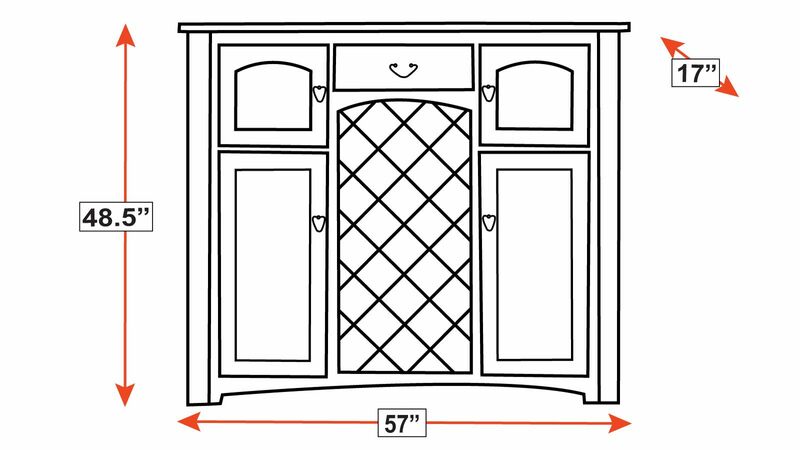 Side cabinet doors open with ease, thanks to handsome pewter tone handles, allowing you to keep glassware and linens at your fingertips. 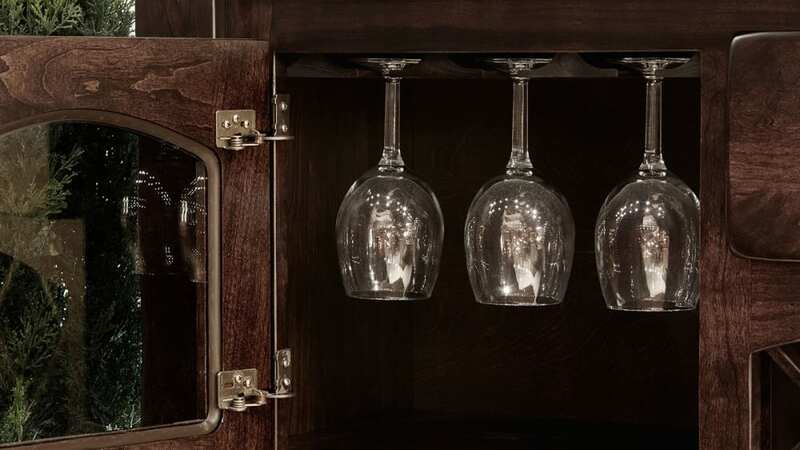 This cabinet was built to store 21 750ml bottles.